PASADENA, Calif. – NASA's Cassini spacecraft has captured images of lightning on Saturn. 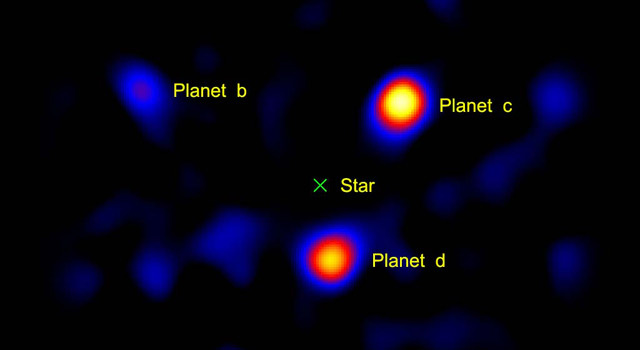 The images have allowed scientists to create the first movie showing lightning flashing on another planet. After waiting years for Saturn to dim enough for the spacecraft's cameras to detect bursts of light, scientists were able to create the movie, complete with a soundtrack that features the crackle of radio waves emitted when lightning bolts struck. 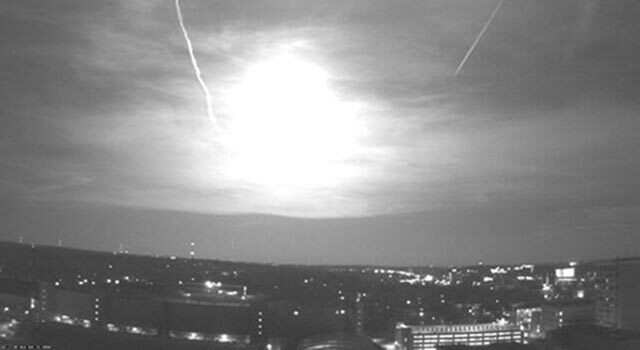 "This is the first time we have the visible lightning flash together with the radio data," said Georg Fischer, a radio and plasma wave science team associate based at the Space Research Institute in Graz, Austria. "Now that the radio and visible light data line up, we know for sure we are seeing powerful lightning storms." The movie and radio data suggest extremely powerful storms with lightning that flashes as brightly as the brightest super-bolts on Earth, according to Andrew Ingersoll, a Cassini imaging science subsystem team member at the California Institute of Technology in Pasadena. 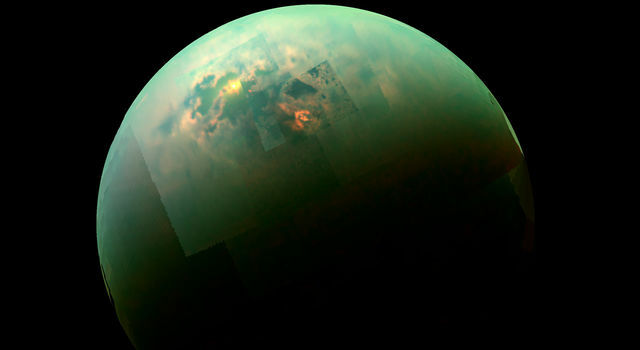 "What's interesting is that the storms are as powerful -- or even more powerful -- at Saturn as on Earth," said Ingersoll. "But they occur much less frequently, with usually only one happening on the planet at any given time, though it can last for months." The first images of the lightning were captured in August 2009, during a storm that churned from January to October 2009 and lasted longer than any other observed lightning storm in the solar system. Results are described in an article accepted for publication in the journal Geophysical Research Letters. To make a video, scientists needed more pictures with brighter lightning and strong radio signals. Data were collected during a shorter subsequent storm, which occurred from November through mid-December 2009. 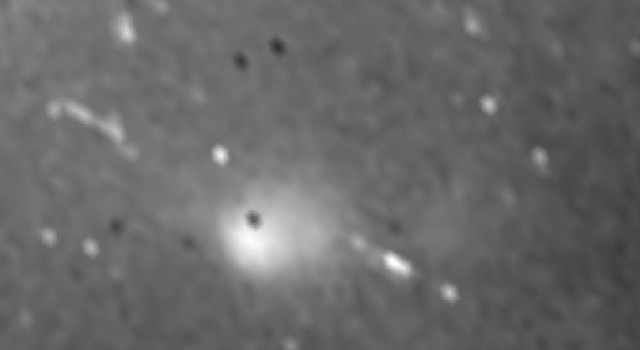 The frames in the video were obtained over 16 minutes on Nov. 30, 2009. The flashes lasted less than one second. The images show a cloud as long as 3,000 kilometers (1,900 miles) across and regions illuminated by lightning flashes about 300 kilometers (190 miles) in diameter. Scientists use the width of the flashes to gauge the depth of the lightning below the cloud tops. When lightning strikes on Earth and on Saturn, it emits radio waves at a frequency that can cause static on an AM radio. The sounds in the video approximate that static sound, based on Saturn electrostatic discharge signals detected by Cassini's radio and plasma wave science instrument. Cassini, launched in 1997, and NASA's Voyager mission, launched in 1977, had previously captured radio emissions from storms on Saturn. A belt around the planet where Cassini has detected radio emissions and bright, convective clouds earned the nickname "storm alley." 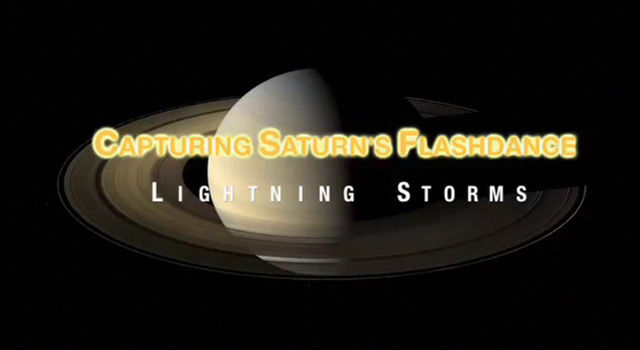 Cassini's cameras, however, had been unable to get pictures of lightning flashing. Since Cassini's arrival at Saturn in 2004, it has been difficult to see the lightning because the planet is very bright and reflective. Sunlight shining off Saturn's enormous rings made even the night side of Saturn brighter than a full-moon night on Earth. Equinox, the period around August 2009 when the sun shone directly over the planet's equator, finally brought the needed darkness. During equinox, the sun lit the rings edge-on only and left the bulk of the rings in shadow. Seeing lightning was another highlight of the equinox period, which already enabled scientists to see clumps in the rings as high as the Rocky Mountains. 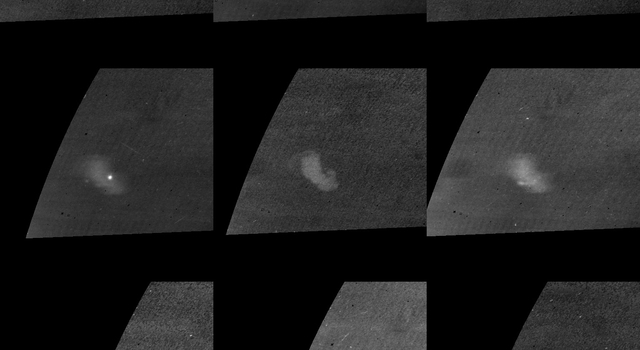 "The visible-light images tell us a lot about the lightning," said Ulyana Dyudina, a Cassini imaging team associate based at Caltech, who was the first to see the flashes. "Now we can begin to measure how powerful these storms are, where they form in the cloud layer and how the optical intensity relates to the total energy of the thunderstorms." The Cassini-Huygens mission is a cooperative project of NASA, the European Space Agency and the Italian Space Agency. The Jet Propulsion Laboratory, a division of the California Institute of Technology in Pasadena, manages the Cassini-Huygens mission for NASA's Science Mission Directorate in Washington. 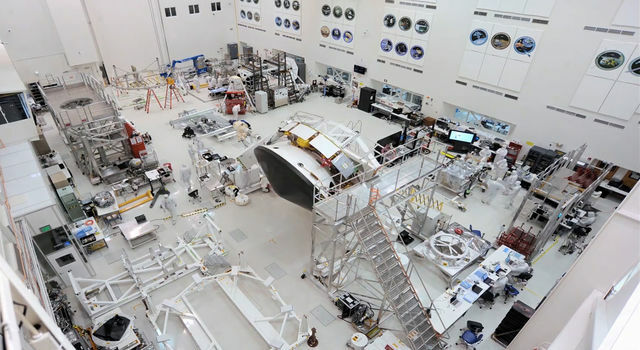 The Cassini orbiter and its two onboard cameras were designed, developed and assembled at JPL.